This course is suited to all students, but it helps if they have an interest in other cultures and broadening their horizons. Students will be using and developing a range of soft skills as well as learning another language. In the ever-developing world, it is now more important than ever to learn a foreign language – and employers are looking for this skill too! GCSE German is assessed through terminal exams, which means there is no coursework and all exams are taken at the end of Year 11. This course is offered at Foundation and Higher tier. 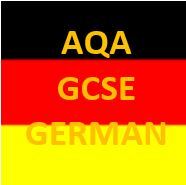 GCSE German will prepare you for further language study at A-Level and beyond. Employers, colleges and even some university degrees now require that you study a language at GCSE and this course will help develop communication and listening skills, preparing students for the world of work.